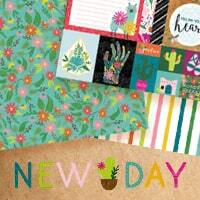 American Crafts paper - browse huge selection of product lines and collections. 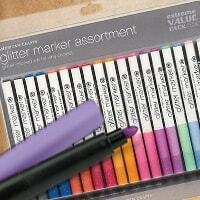 AC marker sets - traditional markers as well as erasable markers. 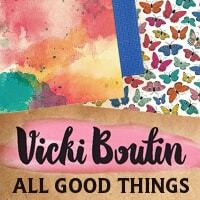 AC embellishments like ribbon and fabric tape. 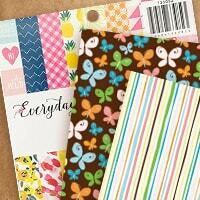 American Crafts cards - matching cards and envelopes. 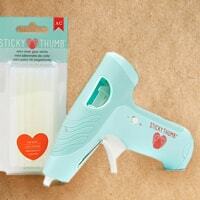 Sticky Thumb - the best adhesive solutions in the craft world. 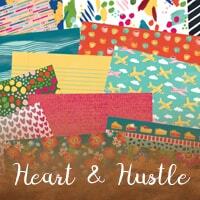 Hustle & Heart - this is a popular paper collection. Miscellaneous AC supplies - try the trimmer blades. American Crafts was founded in 1994 initially as pen manufacturing company. 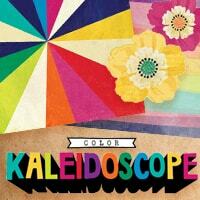 Since that time, they have blossomed into a large successful scrapbooking and craft supply company. They provide some of the finest materials that you will find on the web today. 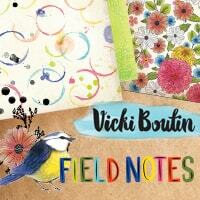 Their focus is on you, and how they can make life better for crafters. 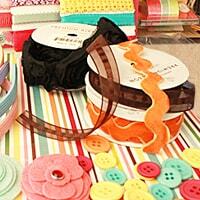 Ribbon - On our site we have everything from Glitter Ribbon packs to Hemp Ribbon packs. 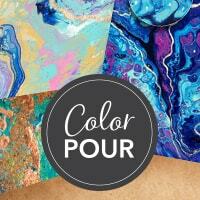 Each of our packs comes with a variety of colors that you can use for almost any craft project. 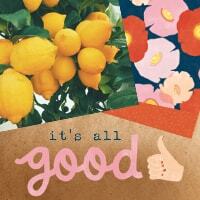 You can use this ribbon to add to your home decor or add spice to your scrapbook pages. 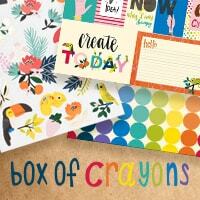 Cardstock Paper - Here at CraftDirect we offer a large variety of American Crafts Cardstock and Paper products. It doesn't matter whether you are looking for Christmas, Chevron Print or even Polka Dots, you will find everything you need right here. 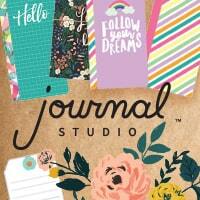 Each of our cardstock and paper packs can be used for projects like homemade cards, home decor around the house and even works great for scrapbook pages. Blank Cards - If you like to create homemade cards you will love the Blank Cards by American Crafts that we have to offer here on our site. 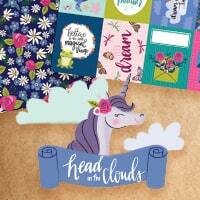 Not only are they designed to make creating a card that much easier, but they come in many unique styles and colors. Our blank cards help reduce the time you spend on card making and are made with quality materials that will last. Markers - Because American Crafts started as a marker manufacture many years ago, it's safe to say that their makers are pretty amazing. 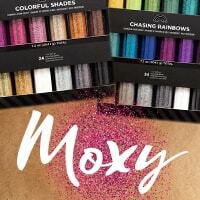 Whether you want Bold, Bright, or even Glitter colors, you will find every marker you could ever imagine right here on our site. 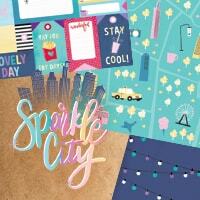 At CraftDirect we are changing the crafting world one step at a time by offering quality products at wholesale prices. 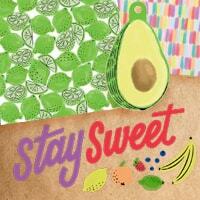 You will love all the amazing American Crafts products we have to offer for such extremely low prices. 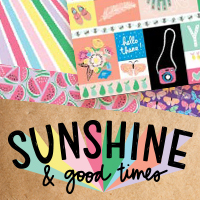 It doesn't matter whether you are into Scrapbooking, Home Decorating or even Card Designing, we have something for everyone. 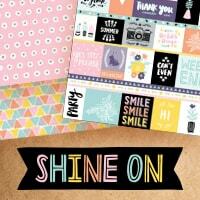 You will make the best projects when you shop from our paper craft supplies.